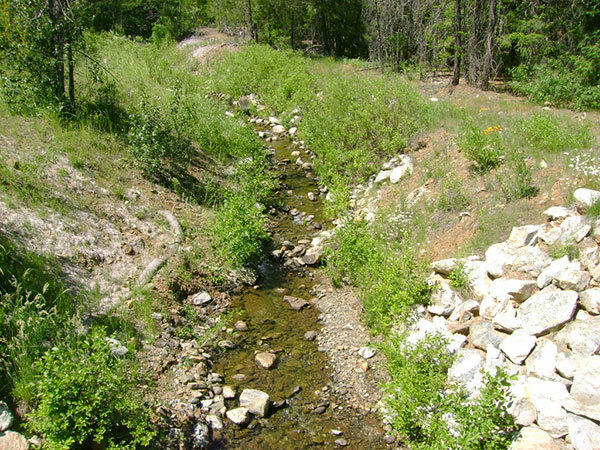 Michael Love & Associates (MLA) designed a roughened channel to overcome a 15-foot drop in the channel profile of Little Browns Creek. 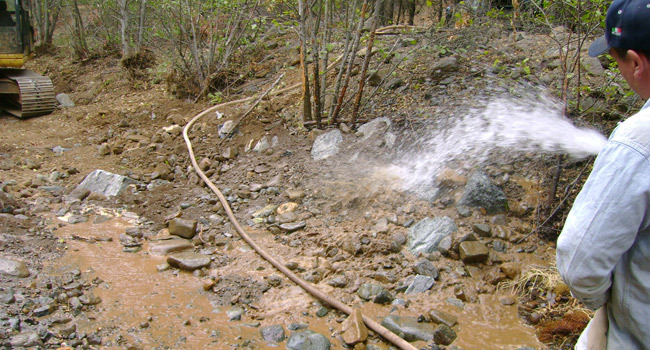 This over-steepened channel reach was part of a project to replace a failing culvert that served as a knick-point in a dramatically incised channel resulting from historic placer mining and channel straightening. 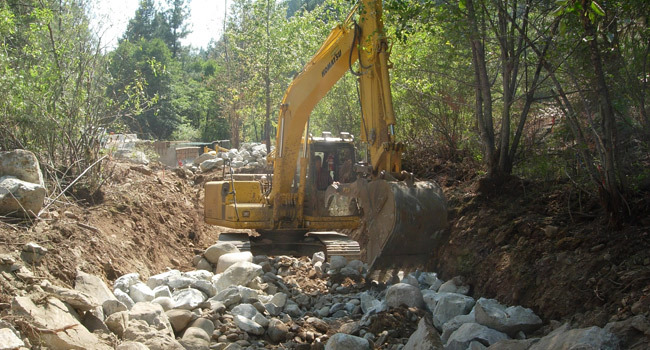 The 300-foot long channel, constructed at a 5-percent slope, was designed to provide fish passage for adult and juvenile steelhead trout and coho salmon in accordance with State and Federal guidelines. The channel profile was constructed with a series of chutes and small pools. Large wood structures facilitate development of scour pools and provide cover for fish. 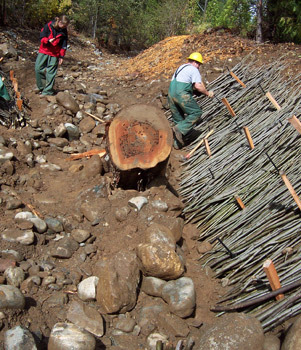 Bank stabilization included live-stake and brush mattress bioengineering and riparian plantings. 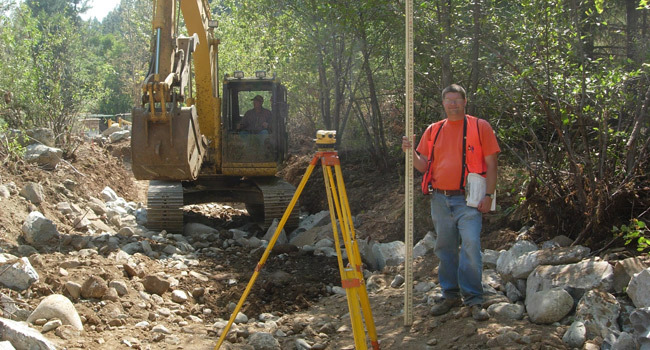 The channel design included computing peak flow and fish passage design flows and obtaining a channel survey of the project area. 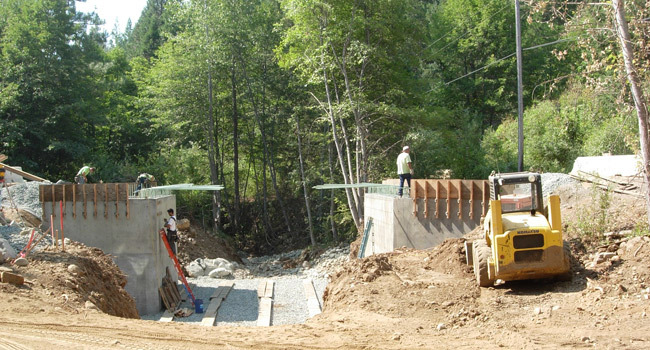 The roughened channel profile and cross section were designed to create a stable channel and meet fish passage velocity, depth, turbulence and drop height requirements. 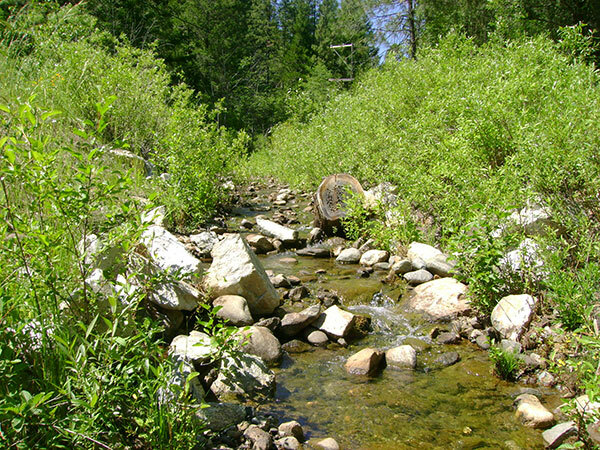 Engineered streambed material (ESM) was sized to remain stable up to the 100-year discharge. Shear stresses were evaluated on the channel bed and banks, and bioengineering techniques were utilized for bank protection. 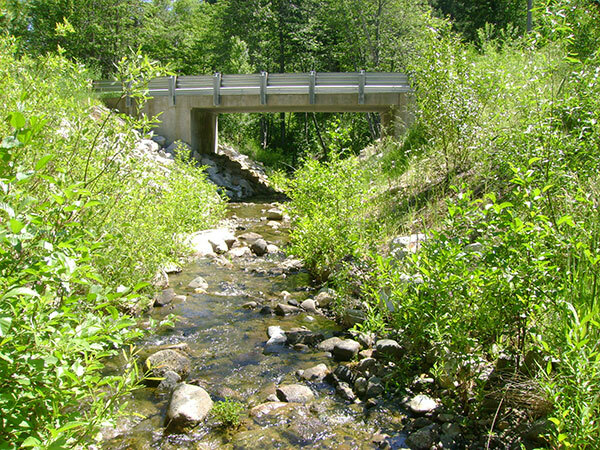 MLA assisted with preparation of construction documents, specifically the final design and specifications for the roughened channel. 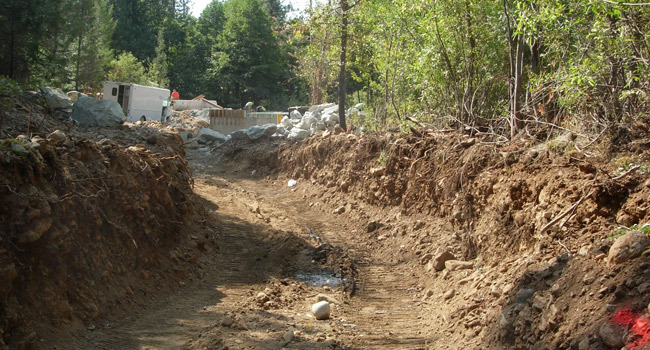 MLA provided construction oversight for the project, working with the contractor in placement of the ESM to create the desired chute and pool channel profile and ensuring that the material is well compacted and sealed to avoid persistent subsurface flow.